Classic Midi - Lovely Blonde Closet "
I found this basic midi dress at H&M for only $19.95 and absolutely love it. They had a few colors to choose from too, I had to stop myself from buying them all! It can be dressed up or down, with booties, flats or heels, and because of it being grey, any color can be added to accessorize it. 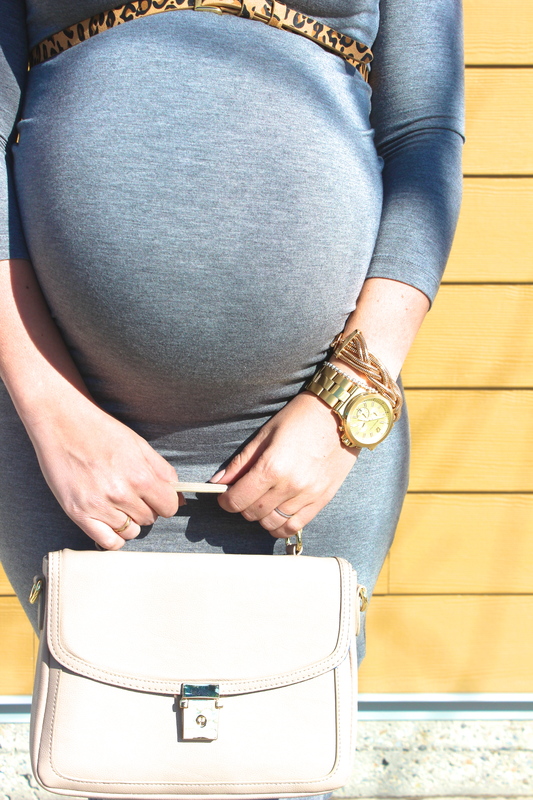 Pregnant or not, this dress is a wonderful basic for any girl’s wardrobe. 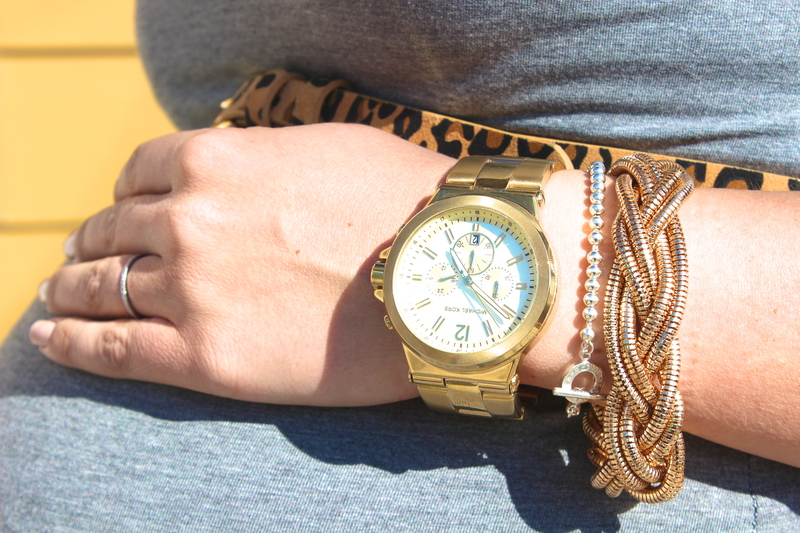 Love,love, love the necklace and booties! love the dress on your cuter than cute bump!